Are there bark beetles in your backyard? This past week we reconnected with Jiri Hulcr, resident Forest Entomologist at the University of Florida (and Dunn lab alum) who has just recently launched Backyard Bark Beetles – a new citizen science project that you can participate in now! 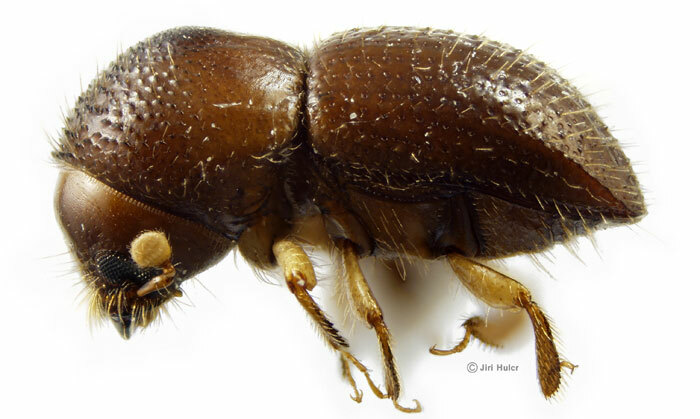 The Backyard Bark Beetles project initially underwent some trials in Florida and Missouri over the summer and is now ready to roll-out to the rest of the country! 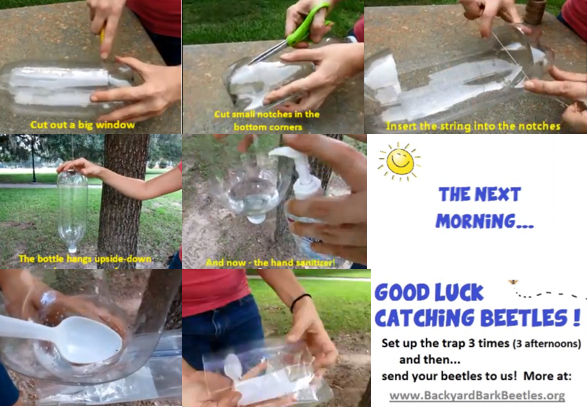 The concept is familiar (if you’ve participated in the School of Ants); the citizen scientist creates a low-cost insect trap out of household materials, collects insects, registers a log-in ID, mails in insects and then the real fun begins (for the scientists). Jiri, what got you interested in bark beetles? It just happened. Ever since I was 5 or 6 I’ve been catching them. My love for them is inexplicable. My professional love of them started in college; when I learned I could make a living studying them. I was interested in bark beetles because there happened to be a big outbreak where I did my university studies. I thought they were kind of ugly, but I studied them more. The more I learned about them, the more complex they were and there were many interesting reasons to study them. It was in the Czech Republic – there are outbreaks due to elevated winter temperatures – bark beetles are everywhere now. In British Columbia 80% of the pine trees are gone because of the bark beetles due to climate change. The biggest beetle outbreaks have been in the past ten years due to climate changes – warmer winters, warmer summers, and overall drier seasons that stress out the trees. The beetles love that – they’re having more generations per year than ever before. Instead of maybe one or two years per generation now Mountain Pine Beetles have two generations per year. What happens to the beetles once they are mailed into your lab? They are sorted and identified by experts. They are stored in ethanol in a minus 80 freezer – so we can do DNA analysis to study the distribution and diversity of beetles. 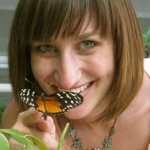 We can also study the symbiotic fungi that the beetles carry with them because it will be preserved. Pictures and descriptions will pop up on an interactive map (much like School of Ants). What is this project’s scope? How many people do you hope to get involved? OK, thousands, but how many thousands, we don’t know. Right now we have been focusing on Florida, but would love to get participants nationwide.This project relies on a network of collaborators: 4-H, Master Naturalists, and Master Gardeners… These are all wonderful volunteer networks – they will be doing some of the research and outreach as well. We are very excited to collaborate with these volunteer networks. Even if we only get five kids excited about bark beetles, we will have considered this project a success. So why are we doing all of this? Why care about bark beetles? Some beetles are important pests that are killing native trees. There are federal and state surveys that rely on just a couple of people to survey. We want to employ hundreds of people to conduct the surveys. Citizen scientists are allowing us to watch for invasive species, assess their spread, and identify areas with native species. Most insects caught in a trap like this are non-native; but we are finding places on the map where there are native species thriving. We even set a new state record for Georgia with this trap – so maybe we’ll find and catch something completely new! We can’t wait to see what they find! Head on over to BackyardBarkBeetles.org to get started!